Everywhere you turn life has become complicated. With a cell phone in my pocket, people can reach me in remote places or traced me down with a GPS device. Ironically, that cell phone that helps me is also said to be possibly killing me at the same time. Yet, life was much simpler. 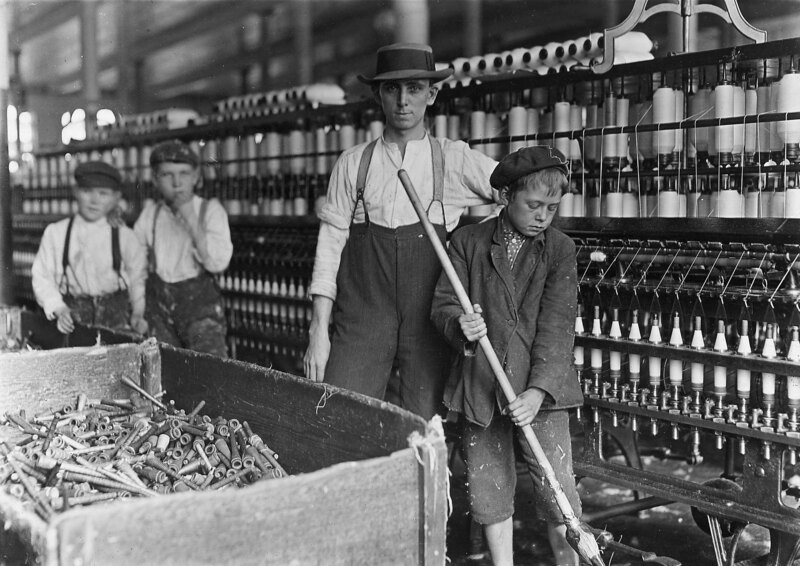 Before the Industrial Revolution, life was centered on land and labor. On this land, God gave man his divine “agrarian calling.” Humanity was technology poor yet spiritually rich in the Agrarian Era. In the same framework, one can analyze the moral compass of society through the ages. Agrarians had a love for community and order; a deep respect for the environment; and a genuine peace with their Creator. Family was first! Agrarians were independent decision-makers. However, Agrarians went away from the land with every economic advancement. Yet, the effects were not all positive. Farmers went from freedom in the land to industrial slaves. During this transition, managers controlled the factory workers. These forced interactions created conflict because farmers and industrial society had different value systems. Each successive wave of technology brought with it giant leaps in productivity while expanding the moral decay of mankind. In fact, the Industrial Era ushered in a period of materialism, competitiveness, self-sufficiency, and the supremacy of man. With each technological advance, social consequences also swept across the world like a tidal wave. Are the principles of the Agrarians lost? If not, why? Agrarian is defined as relating to land, land tenure, or the division of landed property: agrarian laws, pertaining to the advancement of agricultural groups: an agrarian movement (Dictionary.com, 2012). Just by the simple definition the agrarian principles are lost. People started flooding the cities once jobs were created, government offered services, and housing was built. With the mass exodus of people to the cities agrarians had to become more resourceful and efficient. Even today with the new found resourcefulness the agrarian way of life has been impacted by the wages of doing business in America. The simple fact of the matter the US has priced itself out of the game. It is cheaper and easier to import food to feed the US than it is to grow and produce of the land. Unfortunately, the agrarian ways are lost within the US. That is not to say that the agrarian society is not still alive in other parts of the world. Due to the lack of comments I am going to take another position to answer this question. While I stated above that the US agrarian culture is lost that is not true for one society within the US. Amish society is one that acknowledges other means of livelihood and work habits, but stresses agriculture and farming (“The amish: An,” 2010). This society is one that is still committed to their agrarian roots in the midst of the US developing into what we have today. The Amish continue to live off the land by selling home grown food, furniture, and quilts. The Amish way of life, while controversial, is thriving within the US. Thanks for the extra observations! As a European, I have always tought that the life of agrarians before the industrial revolution was fasinating. It looked like such a peace full time where men worked hard but enjoyed what they did. The children often helped out on the farm from a young age and took over the family farm eventually. People evolve and because of that certain things will never be like they used to. Because production on the farm became easier, less people where needed to work on the farm, and more peole where needed in the factories. People will go where the work is; the industrial revolution just moved people from their family business to the harsh city. I don’t thing real agrarian life still exist in the US. Multinational companies now own farms, and everything is mass-produced. Family owned farms struggle to survive because of the big business farms. On top of that like Chris said, we can import products cheap, and this makes it hard for US farmers to sell their produce for a decent price. Great! Thanks for giving us an international outlook on the discussion. Let’s go deeper with your comment, “I don’t thing real agrarian life still exist in the US.” Can you support your premise with sources? Do you feel that events happen in cycles? If so, what about agrarian values? People are more concerned with sustainability and the environment. Agrarian culture as a dominant way of life for American civilization is not very prevalent today. However, remnants of the Agrarian teachings and way of life live through several sects that are based upon preserving and teaching the lifestyle of Agrarianism. One such example is the GreerCrest Farm in Oregon, which describes itself as a place “where Agrarian Culture is Lived & Taught.” (GreerCrest, 2012). Also, over recent years, more and more environmentally-conscious movements have surfaced around the country. Several of these groups embody similar value-structures to the Agrarians. Being from a small rural town in West Tennessee, it was not uncommon for me to see Mennonite families around town as I was growing up. This tight-knit community of people’s lives revolve around agriculture and many have their own schools and businesses. As long as these organizations exist, the principles, though not widely in practice, are not lost. GeerCrest Farm, LLC: Where Agrarian Culture is Lived and Taught. Do you feel that environmentalists are related to Agrarians? Agrarian beliefs stated that country living produced better people (Fite, 1967). I am not sure if I disagree with that. When America had agrarian beliefs people were nicer, had stronger values, and genuinely cared. 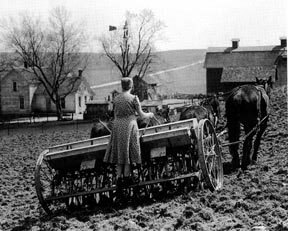 There was a time when hard work in the fields was a political campaign in 1924 to get Calvin Coolidge elected for the highest office within the United States. While I can see why America has moved away from the agriculture lifestyle but I wish America stilled valued was the belief structure of agrarian people. My generation and the generation below me have placed a very small amount of importance on values and hard work. An overwhelming population of America has lost its agrarian values. People have moved away from agrarian lifestyle to a more industrialized and more individualistic style. One of the cornerstones of agrarian lifestyle was the community and family values. Now, unfortunately, families don’t even know their next door neighbors. According to Professor Green, “First, technology doesn’t automatically improve society. In over 50 years, America has gone from rural to city and from national to international market. Richard Critchfield, author of Trees, Why Do You Wait, argues that these advancements have weakened our core values such as family tradition and work ethic” (Green, 2010). Our society continues to progress towards a more industrialized nation and there’s no surprise why the principles of Agrarianism are lost, especially in family values and work ethic. With advancement of technology, we are seeing a deterioration of the core values that once made this country a strong nation. Astonishingly, in 1790, 90% of the American labor force was working in agriculture and now there is only 2.6%! Interesting observations! Yet, don’t you see some aspects of agrarian values through the environmental or anti-materialism movement? Yes I do see those agrarian values being sought out by environmental groups. Environmental groups such as GreenPeace are advocating the sustainable management of our natural resources because there is a growing concern about how to create sustainability in the future. We have done a lot of harm to the environment and the whole concept of agrarianism that has been lost needs to be continually revived.